Over a billion computers are in use worldwide. In developing communities, once they are no longer in use, or beyond repair, more than 50 per cent are illegally shipped to dumps. This gives Africa a massive electronic waste problem as reusable components mix with toxic materials, polluting poverty-stricken areas. 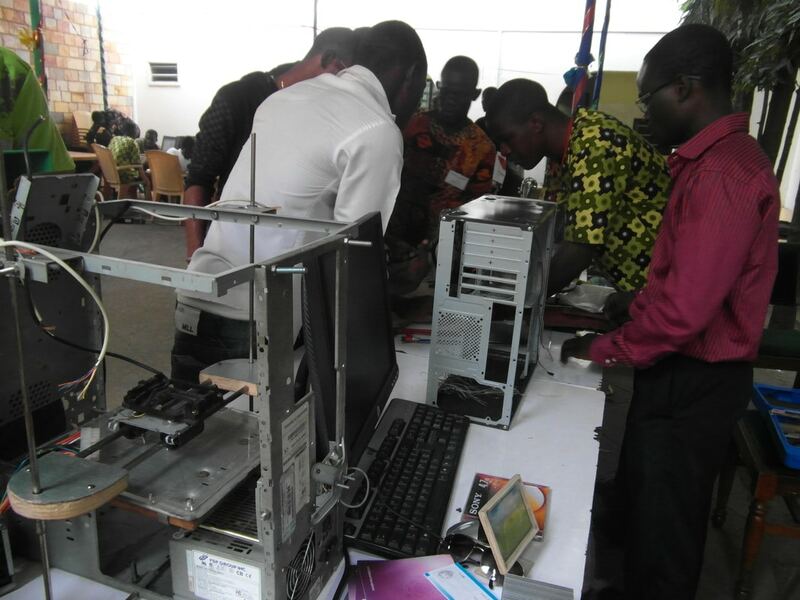 Within hacker space WoeLab, Africa’s first space for democratic technology, Togolese inventor Afate Gnikou and its community of thirty young residents turned imported e-waste into an economic asset. 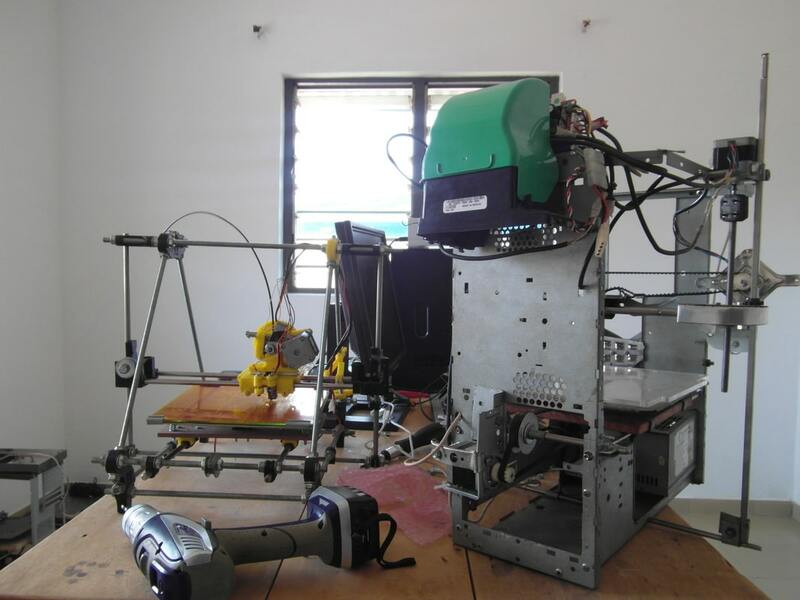 They lifted designs found online to collectively constructed the first 3D printer made from dumped scanner parts and an old diskette drive scavenged from a scrapyard. The W.Afate printer takes its name partly from Afate’s, with the W standing for the WoeLab headquarters. The DIY version, which cost only $100 and can print household utensils, is just the prototype for something larger. The next step is to set up a network of 3D printer cafes to make environmentally sustainable manufacturing technology more widely available in Africa. Woelab, whose philosophies are low high tech and technology democracy, compares the impact of 3D printing to that of the steam engine in the 19th century. Through his new initiative Woora Make, Afate supports programs related to education, health and industry and currently develops a project for the opening of a free maker space in Togo. He won ‘Best Innovation’ at the Global Fab Lab Awards in 2014 in Barcelona. W.Afate is featured in: An African AtlasChart: 4 magical citizen initiatives. Tags: 3D printing, Awareness raising, Community, Digital fabrication, DIY, Environment, Recycling, Sharing economy, Social inequality, Training, Waste, Youth.